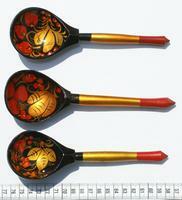 Khohloma painted tea spoons. 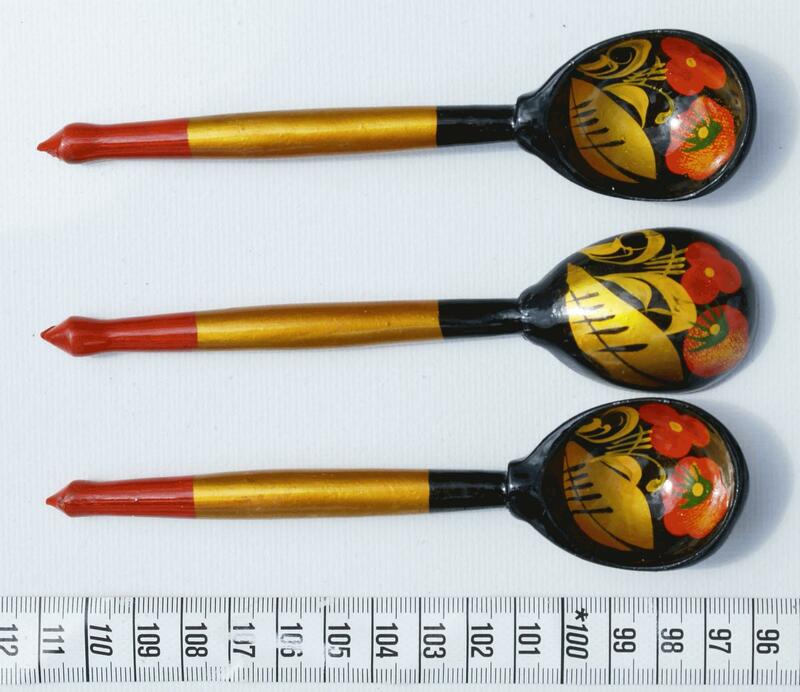 Red and yellow on black. 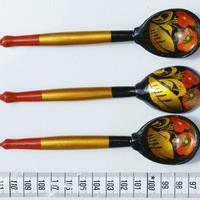 One of the most popular types of hand-painted style in Russia.